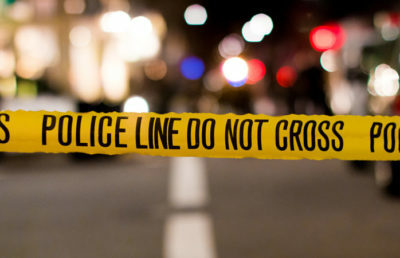 A shooting occurred in South Berkeley on Saturday night and another in West Berkeley on Sunday morning, according to Sgt. Andrew Frankel from Berkeley Police Department, or BPD. BPD identified the adults from the Saturday shooting as Berkeley residents Kenneth Brown, 21, and Reginald Jackson, also 21. Jackson has been previously identified by the police as a Berkeley gang member, according to Frankel. A 16-year-old was arrested along with Brown and Jackson for allegedly carrying a firearm — Brown and Jackson, however, were also arrested for probation violation, among other offenses. In addition, BPD arrested William Earl Robinson, 21, in Richmond on Sunday afternoon for allegedly assaulting an individual with a firearm and for shooting at an empty vehicle earlier that day. According to Frankel, a 27-year-old Berkeley resident was injured in the Sunday shooting but is expected to survive. “Both investigations remain ongoing and at this point, this is all we can share,” Frankel said in an email.